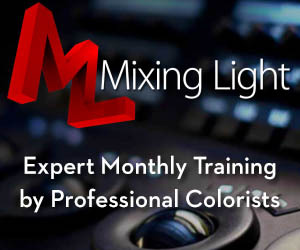 Mixing Light.com is a subscription-based colour grading training site aimed at colorists of all calibres from across the globe. It’s been four busy years since it initially launched and the site has recently been completely overhauled to version 2.0. Clocking in at over 600+ Insights, 400 of which are video tutorials, subscribing to Mixing Light makes even more sense today than it did four years ago, at least from a bang-to-buck perspective. You’ve just got to catch up on all that content! Mixing Light’s main aim with all of it’s video, text and audio based content (or Insights, as they call them) is to deliver ‘a-ha’ moments. Those moments where you can say “yup, I got it”, by giving you just the vital piece of information you need to solve a problem, create a specific look or tackle a thorny client issue and still grow your colour grading career. But does it do all that it promises and is it worth the money? In this post I’ll answer those two questions, take a look at the new improvements, review the new Practice Projects and round up all of the free training Insights that are now available outside of the paywall. So whatever you do, be sure to scroll to the bottom to check those out! In case you’re wondering, the very first Mixing Light tutorial was on how to add camera shake in Resolve. Is Mixing Light 2.0 worth the money? In short. Yes. Mixing Light is absolutely worth the money. You simply won’t find a more comprehensive colorist training site anywhere else, not with the same quality or quantity of content. As a working professional it’s a highly affordable way to stay up to date with the latest software improvements, colorist trends as well as tried and tested grading techniques. But the best thing is you don’t even have to take my word for it as you can take a 7 day free test drive of the site to see for yourself. Now for the longer answer. Mixing Light was first set up by colorists Robbie Carman, Patrick Inhofer and Dan Moran. Robbie and Patrick both have a long history as instructors whether in person or creating online tutorials and training titles, whilst also being senior colorists who both own and run their own boutique colour shops, with decades of experience delivering broadcast, film and commercial projects for clients. Dan’s the younger of the three, although he also has a background in demonstrating DaVinci Resolve and is a highly sought-after commercial’s colorist at London’s Coffee & TV post house. Over the years they have also been joined by a growing list of contributors. But what’s brilliant about Mixing Light is that it’s not just three colorists sharing their experiences and insights but it’s the sum total of a global community of working professionals, at all stages of their careers, learning from and informing each other in response to the Insights shared on the site. After engaging with any particular tutorial, it’s always well worth taking the time to browse through the comments and discussion that follows each post. More often that not you’ll pick up numerous additional tips and info. Plus if you ask a question or have an opinion to share, you’ve also got the opportunity to add to the conversation. As for the core content of those 600 plus Insights on the site, there are tutorials on everything you could possibly want to know about! Pretty much everything is covered in detail some where, from technical topics like colour management and managing databases, to creative tasks like emulating looks and gear reviews on everything from custom keypads to DIT hardware. The new site is now split up into three main areas; the Color Library, Color Courses and Practice Projects. The Color Library is the heart of Mixing Light and is where you’ll find those 600 plus articles, updated on a weekly basis with 6 – 12 new pieces of content each month. The Color Courses are all of Mixing Light’s in-depth colour grading training titles, which you buy separately from your subscription (so you don’t need one to buy them), although members usually get early access and a hefty discount. I’ve previously reviewed the epic DaVinci Resolve Fundamentals and Deep Insights courses here, and for over 25 hours (!) 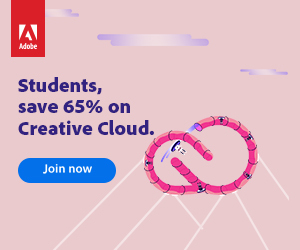 of high quality training $159 for the bundle is a steal. That works out to less than $7/hour! I’m sure they will have updated training on DaVinci Resolve 14 very soon too, in fact I’m in the process of reviewing it right now. The new Practice Projects is where you’ll find professionally shot projects to download and practice your own colour grading on. I’ll talk about these in more detail below, and at just $54 they’re affordably priced, especially if you’re a junior colorist. What’s New with Mixing Light 2.0? It’s been four years since Mixing Light launched and this is it’s first design refresh, so what’s changed? Quite a lot actually, but what’s key is that the new design and site structure is that it’s all centred on organisation and setting Mixing Light up for future growth. The new site is in essence a platform for future generations of Mixing Light development and so the team would consider it very much a work in progress, with a lot of further features still to come. Either way, as a result of all this hard work, finding things has become a lot easier and that is a big deal. Previously as the library grew to an unmanageable number of posts, there was a privately maintained Google doc spreadsheet that a forum member ran which you could consult to find things based on the Insight number and key terms. Not ideal to say the least, although it is still available to members who want it. Now in Mixing Light 2.0 that has been replaced with a much more accessible navigation schema which includes a detailed collection of specific category tags as well as broader groupings based on the ‘Skill’ such as Assistant Colorist Essentials, Theory or On-Set. There are also a wide variety of really helpful UI improvements which puts useful metadata in plain sight such as the ‘New’ or ‘Free’ flags on the home page. Also now when you’re watching a tutorial you know exactly how long it is, the skill level required to engage with it, what categories it belongs to and also what on-going series it might be a part of. The top navigation breadcrumb trail really helps you to keep track of any particular rabbit hole you happen to wander down. Some of these broader groupings are currently better executed than others. Assistant Colorist Essentials only has one entry from 2014 that promises as series of posts for Assistants, whilst Theory is packed with seemingly hundreds of posts covering everything from Colorist Inspiration breakdowns to actual colour theory on ACES. Hopefully over time there will be further refinement to these such groups such as adding a tag for Colorist Inspiration, or the Rediscover the Basics series. At any rate, on my last count there were also 57 different unique categories to help you find things, with subjects like Camera RAW Controls, Resolve Color Management or Suite Design, to pick three at random. The search functionality has also been substantially beefed up with filters to sort what you find by content type (video, audio or text) and Skill Level – Beginner, Intermediate or Advanced. This really helps to drill down to finding specific content. If you’re new to Mixing Light some tags might need a smidge of unpacking such as the ‘Holiday Marathon’, where they traditionally release a barrage of advent calendar style daily tips during December or January, or the ‘Desert Island Challenge’ where the central concept is what level of grading can you achieve, in just an NLE. One of the best new features on the site is the Favourites function, which allows you to start collecting the best tutorials for your world from such a massive archive. Hopefully this functionality will be improved over time to include being able to organise these into customisable playlists and watched/unwatched toggles etc. Other improvements are more ‘under the hood’ but still important such as the switch from Flash to HTML 5 videos. In Mixing Light v2 Flash is banished! We are now fully HTML 5 video! We’ve taken it a step further and are going Adaptive Bitrate Streaming… meaning you’ll be able to switch between frame sizes on-the-fly. All of our legacy videos will stream up to 720p. Going forward we’re streaming and downloading to you at 1080p. The new site now comes with a new pricing structure which is divided between Streaming Only and Premium plans. 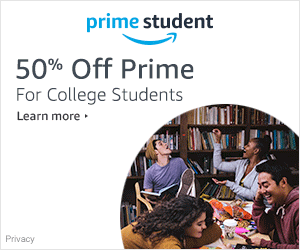 The only difference between these two is that you can’t download the video tutorials – handy for offline viewing, and you don’t have access to the ‘special member bonuses’ (most often discounts on new things) on the Streaming Only plan. When you do the math, it’s actually cheaper to pony up for the Annual Premium Plan ($244 up front, so $20 a month) than the Monthly Streaming Plan ($24/month). One helpful assurance is that all the plans come with a ‘life-time lock-in’ which means you’ll never experience a price hike, for the duration of your membership. 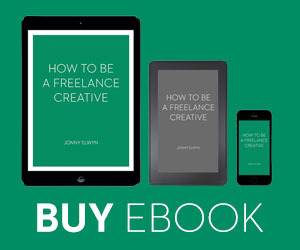 To my mind, if you’re a professional colorist, editor or DIT, or a young and hungry version of any of these, membership could be considered an essential and easy win for career development. Speaking personally as an editor, sometimes the deeper technical insights are above my station, but many of the creative and how-to posts are perfect for improving my knowledge and abilities. This update to Mixing Light is a welcome and dramatic improvement on the previous platform, but there are a few things that it would be great to see added to the mix. Here are a few of my own suggestions! More Community Insights – Being able to see which posts are generating the most discussion, or the most views. A post’s popularity or heated debate often reveals an important area of learning for everyone. Flight Paths/Playlists – This is something Mixing Light offer in their dense 21 hour training course – a way to skim through various threads of the content without having to work through everything in one go. It would be great to see some curated playlists or flightpaths of the library’s exhaustive content, that could be shared with other members, or found centrally somehow. These will probably evolve, over time, based on the Favourites functionality. Anyway, don’t take my word for it, try Mixing Light for free yourself, for 7 days. MixingLight.com’s latest addition is the all new Practice Project library which offers you the chance to grade the raw rushes of professionally shot projects, and (in the future) get feedback on your work. There are only two practice projects available so far, Mother Died – a zombie short film, and In the Shadow of Giants – a 10 minute documentary, although they’re hoping to release a new project every quarter. Although I think that they might roll on and off the catalogue, over time. There are similar practice projects available for editors in Inside the Edit’s Raw Footage Shop or EditStock.com, but these are sometimes already graded, or delivered in compressed file formats. 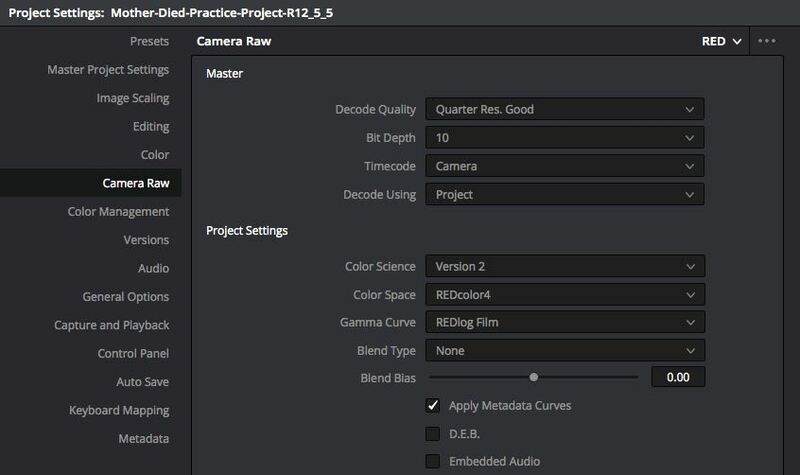 The practice projects from Mixing Light are obviously aimed at colorists, giving you access to the original camera files and the full latitude within the image to work with. So for example 90% of Mother Died is delivered as 5K R3D files. They come as a fully prepped and conformed timeline, all you need to do is download and relink the media, and you’re off and running. Two points come to mind here. First, the instructions guiding you through the process of downloading and relinking are excellent and the user interface is a joy to work with. That might seem like a small detail, but small details matter. Second, the downloads are pretty big. 22GB and 28GB at the time of writing. I tried the big kahuna download but it failed after about an hour. So unless you’re on a reliable connection I’d recommend going with the multipart downloads, one at a time in the background, whilst you’re doing something else. Even then (and I have 60 Mbps Fibre Broadband) they failed a couple of times on me. So just factor in some set-up time with regards to downloading the files. Your milage may vary. One of the secondary benefits to working with these beefy projects is being able to test out a specific workflow and fine tune your colour grading system to work with more render intensive formats. Doing this ahead of time with a variety of formats will give you confidence that you’re ready to work with those types of client projects. It would be good if there was a list linked to each Practice Project, of supportive previous Mixing Light tutorials to help you with those kinds of performance related tasks. There are some helpful notes in the Mother Died project on how to get better performance from your system when handling RED 5K files, but I still had to do a bit of Googling to find out how to implement these suggestions. There are other Mixing Light tutorials based on these projects, for example there is an 8 part series on conforming the multi-camera, multi resolution, multi-codec documentary project. And this actually comes as a bonus download with the Under the Shadow of Giants project. File > Projects Settings > Camera RAW > RED > Decode Quality > Quarter Res. Good. This diminishes the debayer quality to a more manageable level, but the image quality is still completely adequate for grading with, and I had 24 fps playback. If that’s not enough you can also enable Proxy Mode under Playback > Proxy Mode > Half or Quarter Resolution. This tells Resolve to ignore 50% – 75% of the pixels in the image. At just $54 for a project these seem like a good deal for what you get, and I’m not sure where else you’d even be able to get your hands on the edited and conformed, yet ungraded original rushes of a professionally shot project, anyway? A further benefit is that, if you’re just starting out, you are even allowed to use small segments of your colour grade of the films in your demo reel. Just be sure to carefully read the specific terms and conditions about this, before you go splashing it all over the internet. Coming in ‘late 2017’ there will be a supportive ‘Colorist Flight School’ which aims to replicate the ‘mentorship’ experience of being a junior colorist working to a senior colorist, by allowing you to watch a colorist work on the very same practice project that you own to see how they’re handling the same challenges. You’ll also be able to submit your own grade for feedback from a ‘senior colorist’. Hopefully this should be as simple as uploading your graded project file, as everyone will have access to the same media assets. The combination of the practice projects and Flight School feedback will definitely be a huge benefit to junior colorists or editors looking to dramatically improve their colour grading skills. Aside from being able to try out everything on the site for free with the 7 day test drive (which is a big step up from the previous 24 hour test drive), there are also a growing collection of articles that are outside of the paywall and so free for all takers. Guide: How Do You Safely Upgrade to DaVinci Resolve 15?